A Swedish engineer who was one of the first to use a balloon to explore the Arctic. Born in Sweden, in a large family of pharmacists. He was distinguished by a clear mind and strong will inherited from his parents. The family supported the cult of Spartan parenting. Andre received his first diploma lessons from his mother and then went to school. He studied well, had many awards, but after completing five classes, to the surprise of everyone, he left school and went to Stockholm. Here he entered the Higher Technical School, where he graduated at the age of twenty, having shown brilliant abilities, especially in physics. In subsequent years, Andre worked at the plant, visited the United States, where he became acquainted with the basics of aeronautics, and was engaged in commerce without success. In 1882 he served at the Swedish meteorological station on Spitsbergen, conducted observations of atmospheric electricity, terrestrial magnetism and meteorological phenomena under program I of the IPY. After the expedition Andre entered the patent office. However, all these years, he was most interested in the development of aeronautics. In 1893, Andre made nine balloon flights, during which he conducted scientific observations. In addition, he first took up issues of ball management, having achieved great practical success in this. Even then, he had thoughts about using a balloon for research in the Arctic. In 1895, with the support of N.A. - E. Nordenskiöld , he presented to the Swedish Geographical Society a plan to reach the pole on the designed balloon “Orel”. Among the donors were the “dynamite” king A. Nobel and the polar patron of the arts O. Dickson . To control the ball was equipped with a system of sails and gidropov, in case of a long stay in the ice there were sleighs, a folding boat and a stock of food. To send messages, it was supposed to take 36 mailing pigeons, marked with stamps, and 12 special buoys. The first attempt in 1896 did not take place due to adverse weather conditions. 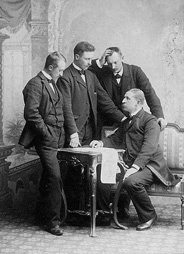 From left to right: G.Svedenborg (alternate), N. Strindberg, K. Frenkel, S. Andre. 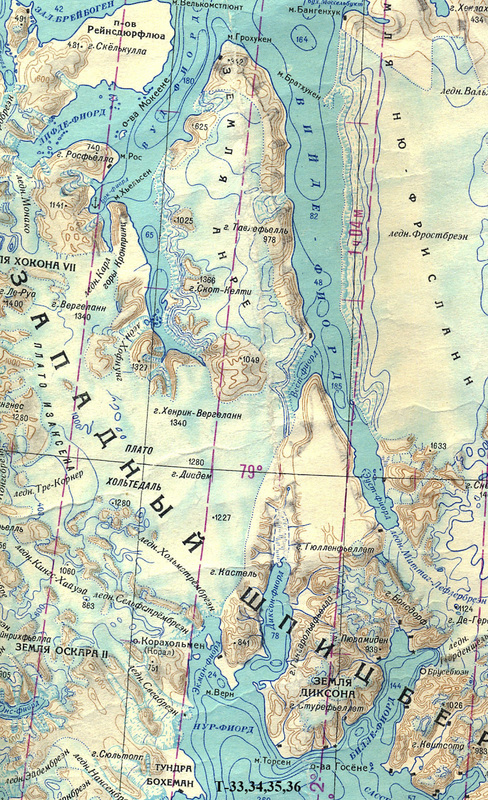 July 11, 1897 Andre with two satellites Frenkel and Strindberg flew from Svalbard. 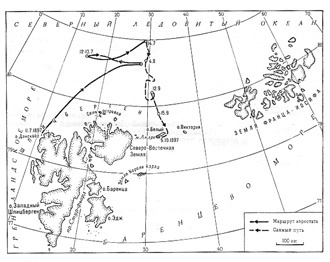 It was planned to reach the Pole within 6 days and reach the Bering Strait. Three short flight reports were received from the expedition. On July 15, 1897, the skipper of the Norwegian vessel Alken shot down the carrier pigeon. A note dated July 13 reported that 250 miles had been overcome, and the flight went southeast. Expedition disappeared. A few years later, five buoys were found in Iceland and Norway, only two had notes. On the land of King Charles, they found the largest buoy, which Andre was going to dump over the pole. Gradually, the expedition began to be forgotten, and only after 33 years in 1930 its remains were accidentally found on Fr. White east of Svalbard. In the summer of 1930, the Norwegian Institute for the Study of Svalbard and the Arctic Sea was sent to the arch. ZFI scientific-fishing expedition on the ship "Bratvog", led by geologist G. Horn. On the way, the Norwegians landed on Fr. White and discovered camp Andre . They found the remains of Andre and Strindberg, seriously damaged by bears, notebooks, photographic films (some of which were later saved and displayed by J. Hertzberg), a sleigh, a sailboat, clothes, guns, a primus, and many other utensils. Taking the found, the Norwegians continued on their way to the PHI. When news of the findings reached Europe, Swedish journalists chartered the Norwegian ship Isbjorn and sent their colleague K. Stubendorf to it. He was lucky to find the body of Frenkel, several travel journals and many different items. The surviving diaries managed to restore the history of the balloon crash. Shortly after the launch, the sideruns were lost and the balloon became unmanageable. Due to severe icing, it decreased, the gondola began to hit the ice. July 14, it was decided to stop the flight. Gas was released from the envelope, and the ball sank on the ice about 300 miles north-northeast of Fr. White. Andre decided to move to ZFI, where a large food store was left for them at Cape Flora . Preparing for the campaign, July 22, Andre and his comrades set off. The movement was very difficult, especially annoying crossings through the openings and bridges. Reading Andre's diary, you once again marvel at the human courage and strength of mind. Being in a difficult situation, they kept a good mood, supported each other with jokes: “And what, is the crossing easy going?” One asks. “It is easy to walk, but with difficulty!” Answers another. Despite the heroic efforts to get to Cape Flora failed because of the strong drift in the southern direction. “We therefore decided to abandon the march to the east. We cannot cope with the current, nor with ice, and we have absolutely no way to achieve anything if we continue eastwards. Therefore, we all agreed to start our new wandering, heading for the Seven Islands , and we hope to reach them in six or seven weeks. ” Such a record appeared in Andre’s diary on 3 August. There was a small expedition warehouse on the Seven Islands. The trip to the Seven Islands was accompanied by the same difficulties. Divorces, fields of hummocks, zones of lightly whipped ice slowed down the movement, took away forces that were already noticeably diminished. In addition, Frankel had a leg and he could not carry the sled. 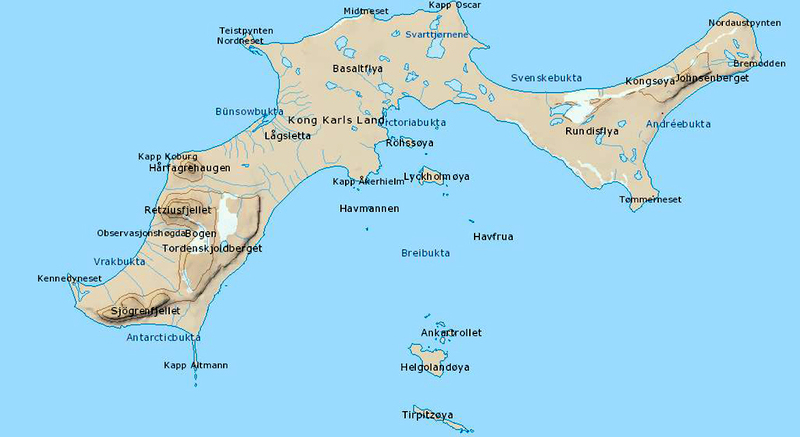 But the most important thing was that the southern drift took them to a breakthrough between the Northeastern Earth and the SIF and there was no way to reach the Seven Islands. And now, on the eve of the polar night, they, already exhausted and sick, with a small supply of food, with broken sleds and in fine worn clothing, were forced to put up with wintering on the ice. 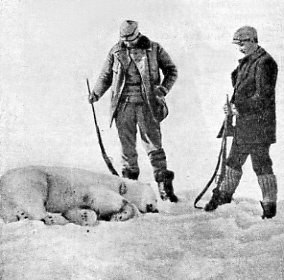 Frenkel (left) and Strindberg after a successful hunt. On September 15, polar explorers saw the land, the ice floe was washed to Fr. White. Subsequent records show that they were able to significantly replenish food supplies, which should have been enough for several months. The ice almost pressed the camp to the southern coast of the island, and it was decided to build an ice hut, which was called "Our Home". But on October 1, a catastrophe occurred. The floe cracked, the hut was destroyed. On October 5, Strindberg writes: “We moved to the shore”, on the 6th - “Blizzard, reconnaissance”, on the 7th - “Moving”. On this record almost break off. Only on October 17, there is a short and incomprehensible remark in the Strindberg calendar: “Home at 7 o’clock in the morning”. From that moment everything was silent. The path of Andre's group, compiled from diary entries. The reasons for their rapid death remain unknown. The first killed Strindberg, which comrades were taken to a cleft in the stone ridge and stoned. Andre, who described in detail all the events, did not say a single word about the causes of Strindberg’s death. The official version of the death of Andre and Frenkel - "from cold during sleep" - does not seem so dubious. In the camp, a serviceable weapon was found with a large number of cartridges, stocks of canned food, kerosene, a fin, but no trace of any hut was found that was suitable for dwelling. Most likely they lived in a tent, the base of which was bounded by rock, fin logs and whale's edge. Within the quadrangular contour of the tent, the remains of Andre and Frenkel were found, with Frenkel lying on his side with his left hand bent, his hand was under his cheek. The natural posture of a sleeping person. Among other hypotheses, two seem to be the most reasonable: V. Stephanson and E. Tride. According to Stephanson, Strindberg died in an accident, and Andre and Frenkel from poisoning during sleep with carbon dioxide from the incomplete combustion of kerosene. This conclusion was later supported by H. Sverdrup . According to the Danish doctor Tride, death was caused by trichinosis, which polar explorers contracted from bear meat. However, it should be noted that the English expedition of F. Jackson, F. Nansen and J. Johannsen, wintering in this region and at the same time, also fed on bear meat without any damage to health. In the late autumn of 1930, the remains of the first three polar aeronautics were sent to Sweden and cremated there. The incomprehensible haste with cremation made it impossible to establish the true cause of death of Andre and Fraenkel. Urns with ashes buried in Stockholm at the Norra Begravningsplatsen cemetery (North cemetery ) - the largest cemetery in Sweden , located in the northern part of Stockholm (Solna municipality). It is interesting to note that in August 1898 on the southwestern cape of Fr. 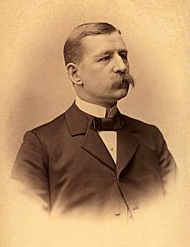 Bely landed three members of another Swedish expedition, among whom was Professor I. G. Andersen. If they had just walked a few kilometers, they would have stumbled upon the place where Andre, Strindberg and Frenkel slept forever. Had this happened, and perhaps one riddle of the Arctic would be less. 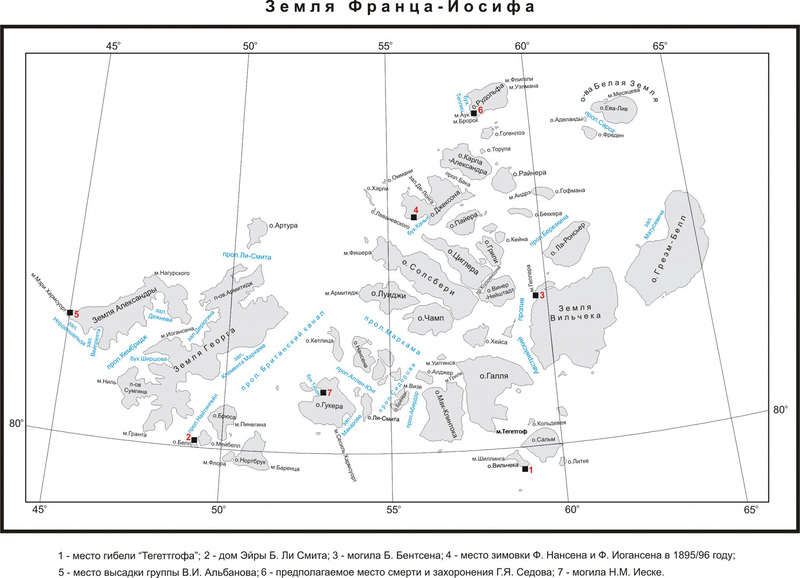 Cape to the west of the Hoffmann Island Archipelago Franz-Josef Land. 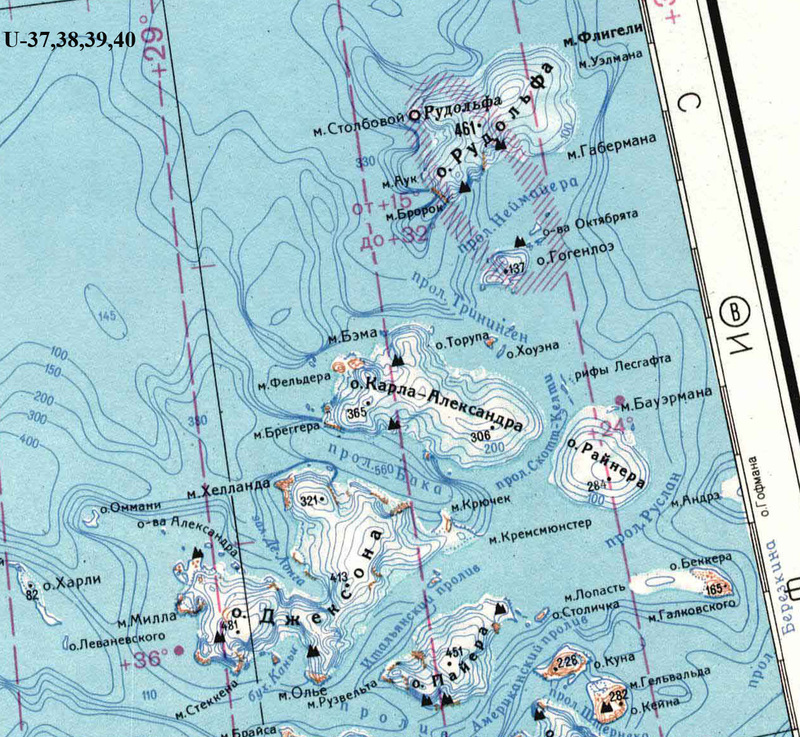 Named by Soviet cartographers in 1955. 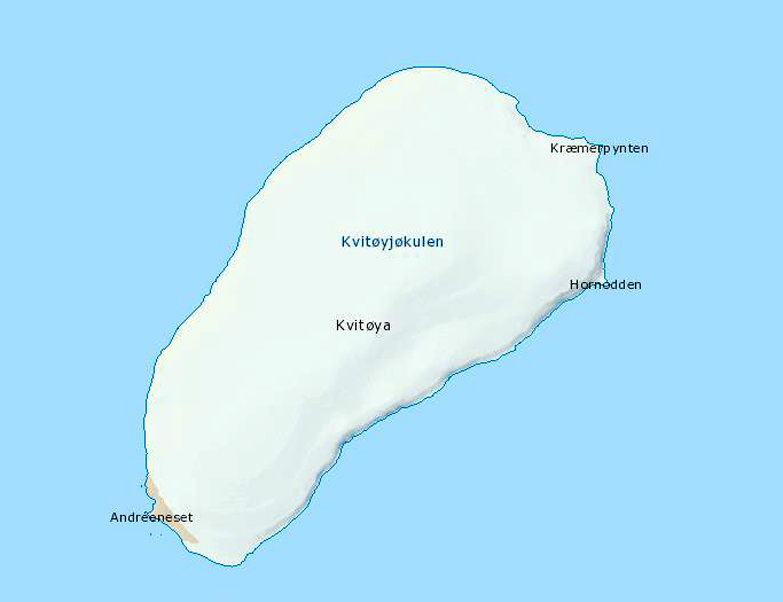 Cape in the southwest of the island of White. 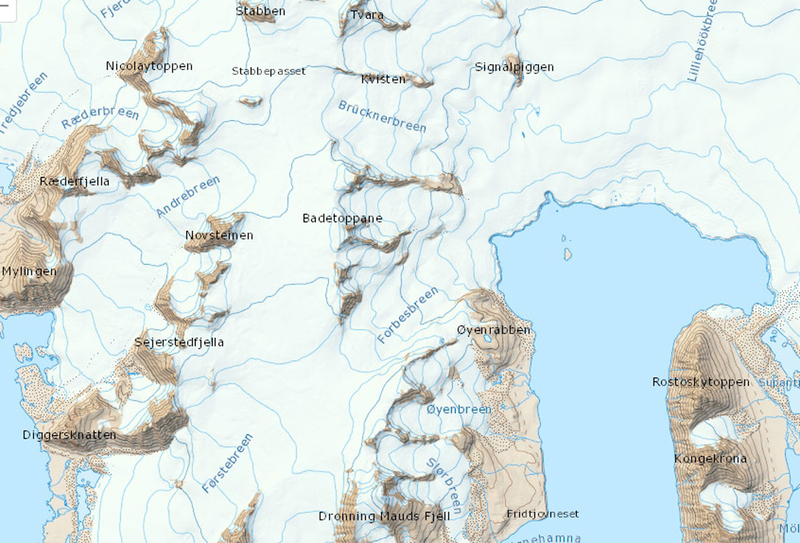 Peninsula (Land of André) in the north of the island of Western Spitsbergen. The glacier is 7.5 km long and 2 km wide on the southwest coast of Albert I Land. The coordinates are 79° 19.5'N 11° 06.0'E. 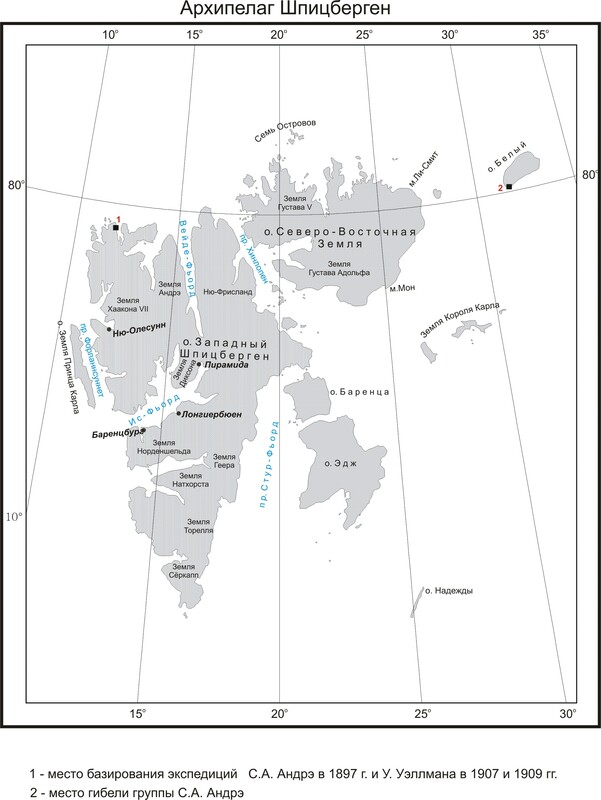 The territory of the coast of East Greenland. 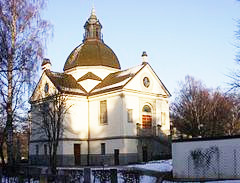 Opened in 1898 by the Swedish expedition of A.G. Nathorst. 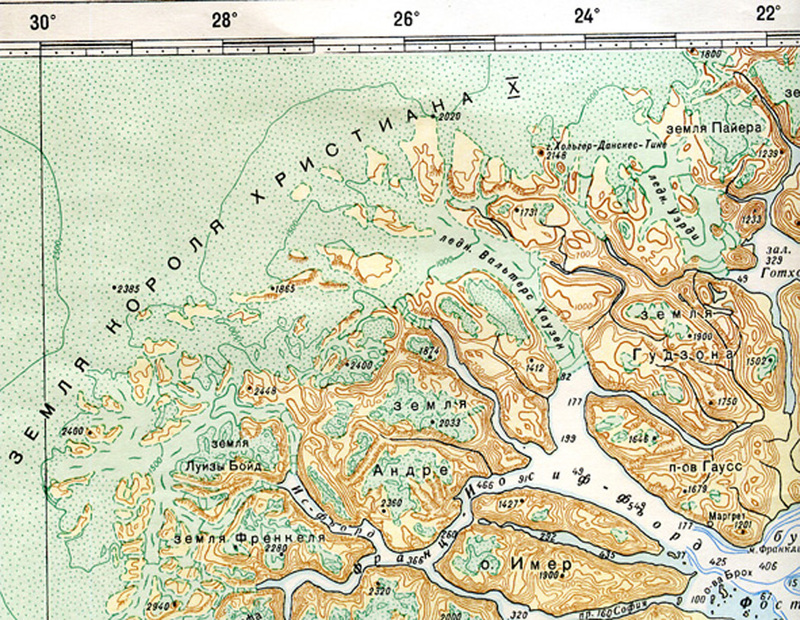 Ice-free territory in the south-west of Bely Island. The coordinates are 80° 05.0'N 31º 28.0'E.